Update 2: Trump attorney Rudy Giuliani has changed his statement on Manafort - who he previously said would tell the truth. Rudy Giuliani, Trump's lawyer for the Russia probe, said: "Once again an investigation has concluded with a plea having nothing to do with President Trump or the Trump campaign." "The reason: the President did nothing wrong and Paul Manafort will tell the truth," Giuliani said. While NPR initially reported that the agreement with the special counsel does not include matters involving the Trump campaign, it turns out the deal includes cooperation "in any and all matter as to which the government deems the cooperation relevant" including full, complete testimony to the grand jury in DC" according to NPR's Carrie Johnson. That said, Yahoo! News journalist Michael Isikoff suggests this is bad for Manafort's former associates, including Tony Podesta. Manafort's attorney called it a "tough day" but said that his client has "accepted responsibility." Update: In what may be even more bad news for president Trump, as part of Paul Manafort's agreement to plead guilty to two federal charges stemming from special counsel Robert Mueller’s investigation, he has reached a "cooperation agreement." Andrew Weissmann, one of Mueller’s prosecutors, referred to Manafort’s “cooperation agreement” during remarks in court in Washington, D.C., on Friday, where Manafort is expected to enter his plea of guilty. That said, the details of that cooperation still remain unclear, including who Manafort would be cooperating with, and to what degree. Manafort is pleading guilty to one count of conspiracy against the United States and one count of conspiracy to obstruct justice by witness tampering. The prosecutor indicated his plea is a "cooperation agreement," and the other charges they will drop at sentencing at "or at the agreement of successful cooperation. In response, Trump's lawyer Rudy Giuliani said that "the deal is not related to the Trump campaign" and that "Trump has done nothing wrong." Of course, the details of Manafort's cooperation agreement have yet to be revealed. Manafort, who was convicted last month by a federal jury in Virginia for failing to report over $16 million in income earned for political consulting work, will forefit many of his assets as part of the deal - including four of his multi-million-dollar homes, as well as funds in multiple bank accounts. No word on whether he gets to keep the $15,000 ostrich jacket. The deal comes after a 76-page "Superseding Criminal Information" document was filed against Manafort, charging him with money laundering and obstruction. Jury selection in Manafort's second trial in US District Court in Washington was scheduled to begin on Monday. As a reminder, Trump's former right hand mand and 69-year-old GOP operative was charged in Washington, D.C., with several counts of fraud and failing to register as a foreign agent by the special counsel. 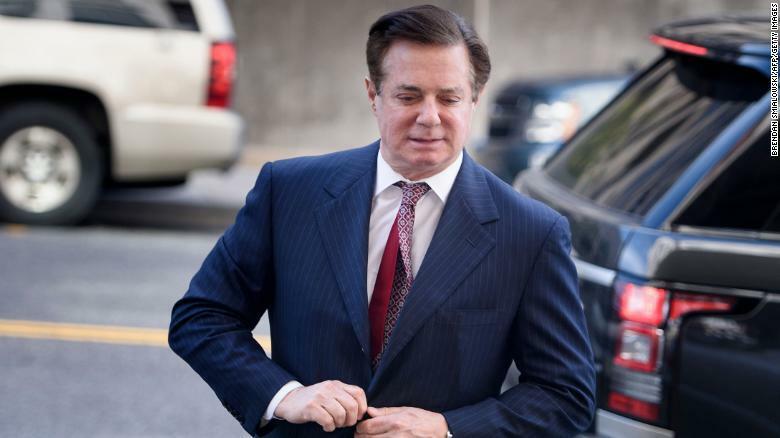 A second case was opened in Virginia earlier this year on related charges that ended with a jury finding Manafort guilty on eight counts out of an 18-count indictment, which threatens Manafort with a maximum of 80 years behind the bars, although under sentencing guidelines the term is likely to be closer to seven years. He has not been sentenced in that case.